The project I chose to do is the 2048 game. It consists of only one executable file. 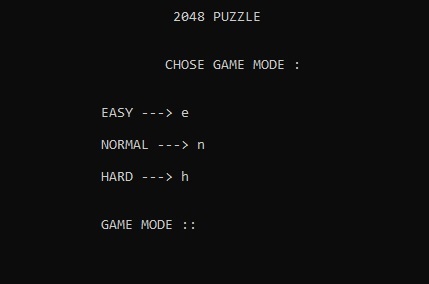 There are three modes of play - easy, normal and tricky. in the occupied places or in any place if the 4th column is fully occupied. chooses whether to show 4 or 2 chances (chance 3 to 7). and 2 or 4 are randomly selected. 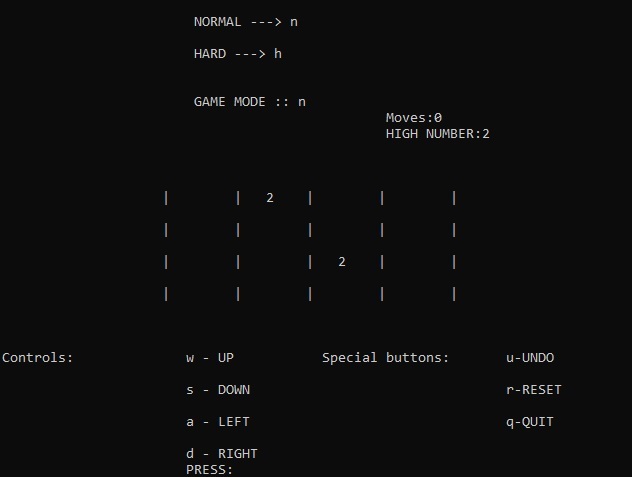 with which buttons it goes backwards, restarts and exits the game. After pressing the exit button, the largest reached number is displayed and the program stops. When you press the restart button, the game reboots and the game mode can be re-selected. I have added two more hidden buttons "!" And "l". "!" Simulates a win in the game. I have done them to show it in the presentation of the project. There are a few other things that will appear on the show.